Berlitz Review: Is Language Instruction at Berlitz Real or Scam? Berlitz is a language instruction company, founded in 1878, headquartered in Princeton, New Jersey. Their mission is to help people feel confidence while communicating in a global environment. Berlitz has a wide variety of modes for delivering instruction: face-to-face, virtual, online, mobile, and study abroad. They offer instruction to corporations, adults, students, and children. Berlitz will custom-design a program to address the specific needs of the client. 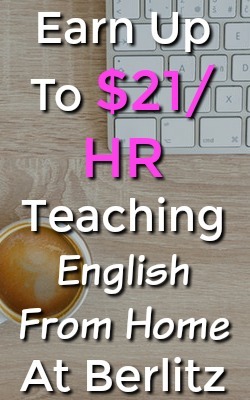 Teaching English online is extremely popular right now, but I prefer a much more passive way to make money online, check out My #1 Recommendation, it’s how I made over $13,000 online last month! In this review, I’m going to talk about a part-time virtual classroom instructor opportunity. A similar company called SayABC is currently actively hiring and paying up to $28/HR! Make sure to check them out! To be an instructor for Berlitz, you must be fluent in a language and have a desire and passion for learning and teaching. You also need to be comfortable working in a diverse environment with a flexible schedule. Berlitz is proud of being an Equal Opportunity Employer. If you are qualified for the position, your application will be considered! If you need accommodations for completing an alternative application due to a disability, or any other support in completing the application, you can email them directly at applicationaccommodation@berlitz.com. Before you can apply to work for Berlitz, you’ll want to go to their website to search for available positions. It’s going to say Search Open Jobs. In the field for City, you’ll want to type: work from home. This will show you all of the virtual positions that are available at the time of your search. Without specifying “work from home,” 326 positions are found. But you’re looking for a virtual position, so typing “work from home” in the city field narrows the search down to 16 available positions. I selected English and was re-directed to a description of the position. Scroll to the bottom, and you can click on Apply On-Line. When you click on “Apply On-Line” you are directed to a new page where you can either Log In or Create a New Account. When you create a new account, you are uploading your resume, or inputting your resume information. Creating your profile will allow you to quickly apply for other openings in the future. You can also receive email notifications if a new job is posted which matches your resume. How Much does Berlitz Pay? 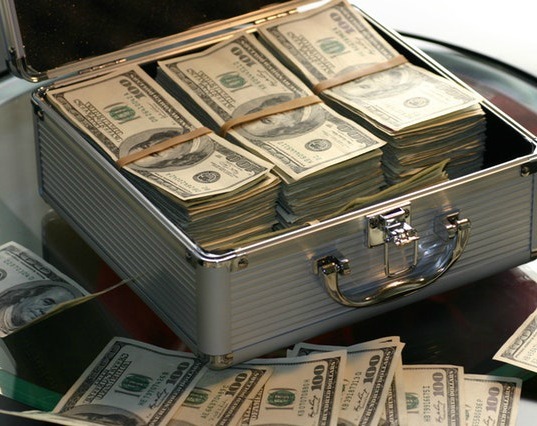 Glassdoor reviews of Berlitz indicate that the average instructor salary for Berlitz is $15 per hour. The range is $10-$21 per hour. A current language instructor says that the pay is low; they are getting $13 per hour. They feel this is low since Berlitz charges approximately $2000 for 40 lessons. If a lesson is 1 hour, it comes out to be about 25% going to the instructor. If the lessons are less than an hour, this number changes. What is the Schedule Like at Berlitz? The benefit of working part-time from home is usually that you can set your own schedule and you don’t have to work a full day. With Berlitz, you will mostly work early morning or evening hours, with mid-day open. According to reviews, the hours are low, and the scheduling is “messy.” One review claimed that you don’t receive your schedule for the next day until 6:00 PM at night. So at 6:00 PM tonight, you learn about your schedule for the next day. BUT, you can show as much or as little availability as you want! So even though you don’t get your schedule until the night before, you previously had the opportunity to say if you are available on certain days or at certain times. There is a huge amount of feedback for Berlitz on Glassdoor! The feedback is OK, averaging out at 2.9 out of 5 stars. Almost 50% of the 544 reviews would recommend Berlitz to a friend. The company pays the instructor even if the student cancels or doesn’t show for the scheduled lessons. Is Working at Berlitz a Scam? According to my research, the Part-Time Language Instruction positions for Berlitz are for real. Not a scam! The consensus that I got is that Berlitz is a great place to work without much experience to start. The pay is low-ish, but it’s a contract/freelance position, and the flexibility and opportunity to help others makes up for it. Here’s the link again if you want to apply for the Part-Time English Language Instructor Virtual Classroom position with Berlitz! If you decide to apply, let us know how it goes! Make sure to check out over 35 Work From Home Education Jobs. Don’t think that language instruction is for you?